Most silica supplements are made with horsetail, though some contain silicon dioxide, which is found naturally in sand, Horsetail contains silicon, which forms into silica as the plant dries. While there is not much scientific evidence on the benefits of taking silica, it is sometimes recommended by herbalists for osteoporosis, urinary tract infections and brittle nails. Discuss silica's potential benefits and risks with your health care provider before taking it to minimize the risk of dangerous side effects. Because supplements don't have to get FDA approval, it's important to talk with your health care provider or an educated herbalist before taking silica. Horsetail silica supplements usually are safer than those that contain silicon dioxide from other sources, but it's important to determine what species of herb horsetail supplements include. The Equisetum arvense species of horsetail is safe for most people to take for short durations, but another species called Equisetum palustre could be dangerous. This species is poisonous to horses. While there hasn't been much research done on the effects of Equisetum palustre in humans, it's best to use supplements only from well-known companies that use E. arvense. Silica can lower your blood sugar levels, which can be particularly dangerous if you have diabetes. Talk to your doctor before taking silica if you have diabetes because your doctor can help you decide on a safe dosage and form. Be diligent about monitoring your blood sugar levels if you take horsetail and notify your doctor immediately if you notice your levels dropping. 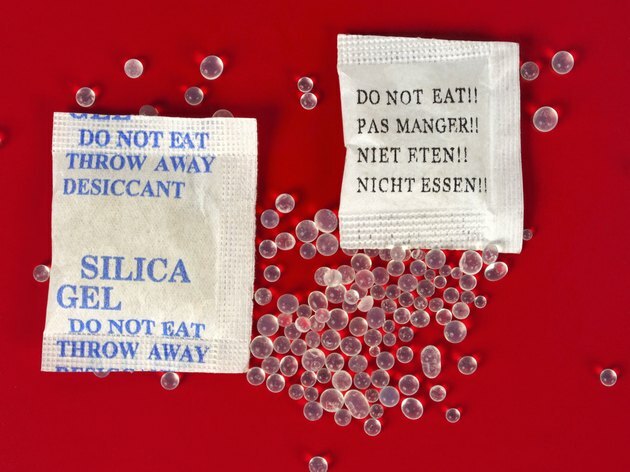 Don't use silica if you're pregnant or nursing to reduce any potential risks to your baby. Silica supplements can enhance some medications, so it's important to tell your doctor about any prescription or over-the-counter medications you take before taking them. Silica acts as a diuretic, so you shouldn't take it if you take water pills. Combining silica with other diuretics can lead to dehydration and dangerously low levels of potassium. Even if you don't take diuretics, you shouldn't use silica if you have low potassium. Horsetail contains low levels of nicotine, so don't use silica supplements made from this herb if you use any form of nicotine replacement therapy. Taking silica with chromium supplements or herbs that contain chromium, such as brewer's yeast and bilberry, can increase your risk of chromium poisoning. Vitamin B-1, also called thiamine or thiamin, helps support your immune system and works with other B vitamins to help your body turn the carbohydrates you eat into glucose for energy. Silica supplements made from horsetail contain thiaminase, which helps break down vitamin B-1. If you take too much or take the supplements for a long time, you could develop a vitamin deficiency. Alcohol also lowers levels of vitamin B-1, so you shouldn't drink while taking silica to lower your risk of a deficiency.